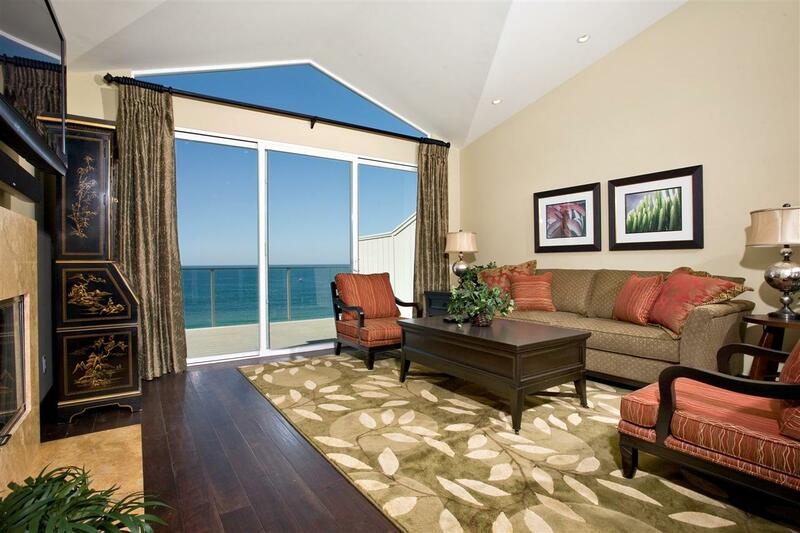 Availability: Visit http://vacationhomesbyjodi.com/seabluffe/ Beautiful Cliff-Top Condo in Gated Seabluffe Community with private beach access just a few units south. Seabluffe Community has two Pools with Spa, tennis court, playground, access to Grandview Beach.This 1,487sq/ft. 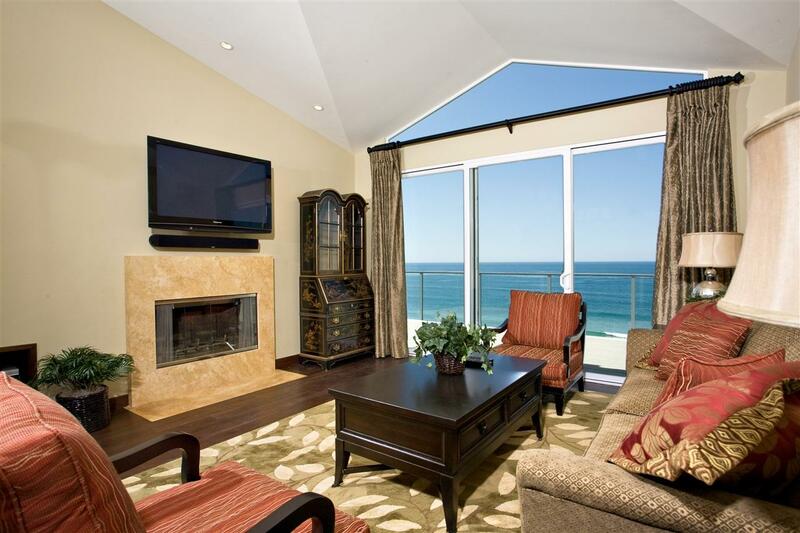 two bedroom +loft, cliff-top condo has a huge glass patio deck overlooking the Pacific perfect for watching the sunset and BBQing. Complete remodel in late 2008. 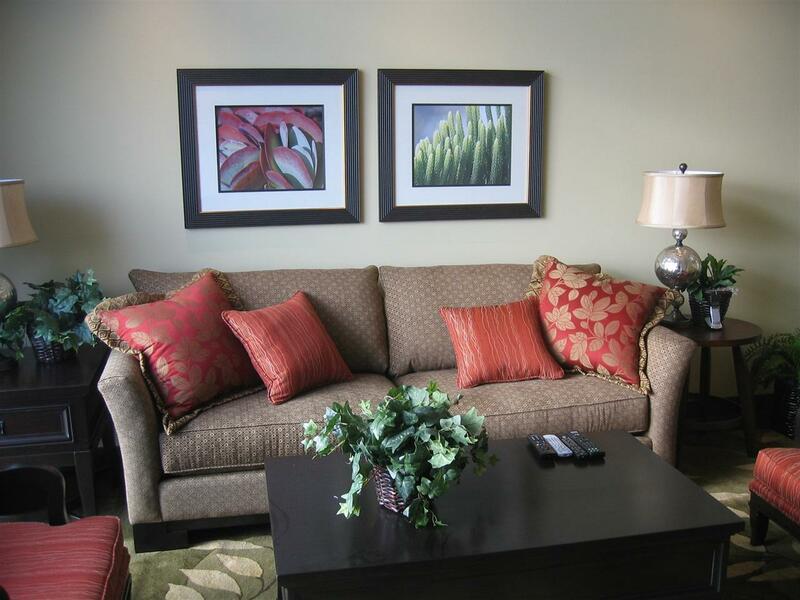 A home away from home, featuring everything you need on your stay. Availability & Pricing: Visit http://vacationhomesbyjodi.com/seabluffe/ Or Contact Jodi! 10% tax if less than 30 day occupancy, $250 admin/cleaning, $1,500 security deposit Amenities include: Ã¢â‚¬Â¢ A full kitchen and bar with island and dining area looking out to the private landscaped patio area (with fountain and shower) also open to the dining room and living room leading out onto the ocean-view deck. The kitchen is fully stocked with dish ware, cleaning supplies, and all needed appliances. o You will also find a handy Ã¢â‚¬Å“welcome bookletÃ¢â‚¬Â with everything you need to know about the condo and surrounding area (restaurants, gas stations, grocery stores, medical needs, etc.) o Living room includes a Smart-TV for you to log-in to Netflix, Amazon, etc. as well as Cox-Cable, VCR/DVD, sound bar, and Stereo system. Ã¢â‚¬Â¢ The master bedroom also has access to the ocean deck, a TV & DVD, a large walk-in closet, and private bathroom with a double-sink and a spacious shower. Ã¢â‚¬Â¢ The other bedroom is next to the kitchen and entrance in the same hall as another full bathroom with washer/dryer. 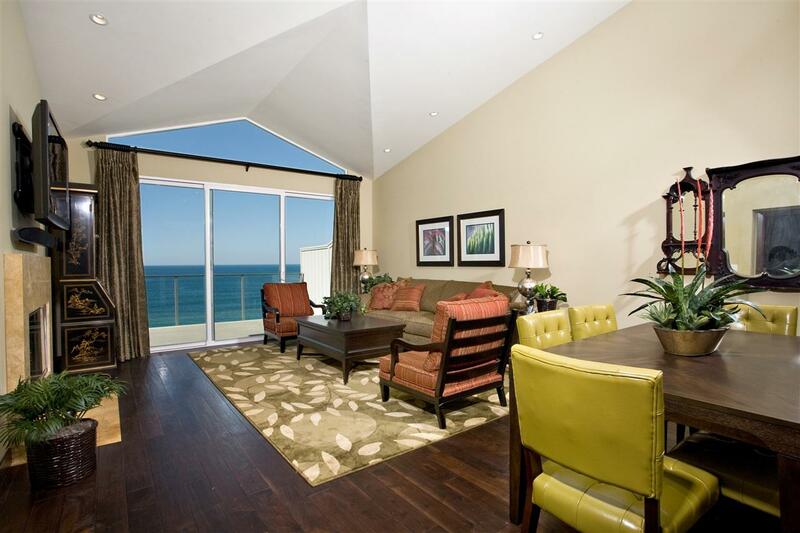 Ã¢â‚¬Â¢ Up a few steps there is an office/den area with a window looking out to the ocean. Here you will find a computer with internet access, games, books, etc. all for your use. Ã¢â‚¬Â¢ Up a few more steps you will find the loft for extra sleeping space or playing. The Ã¢â‚¬Å“kidsÃ¢â‚¬Â loft does has a twin mattress, 2 foldable sleeping mats, and a big, comfy beanbag. * You are able to fit your car in the garage, where you will find a plethora of beach accessories (boogie boards, beach toys, umbrella, chairs, etc.) Everything unlocked in the garage may be used.